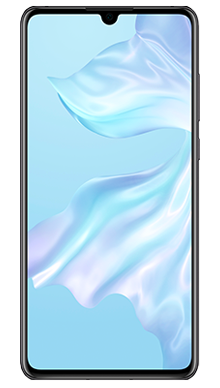 The latest offering from Huawei is one of the most advanced smartphones to hit the market and will appeal to a wide range of users as design meets technology to create a stunning handset that performs at the highest level. Select your desired options to find the best Huawei P30 deals for you. Huawei is considered one of the top three handset manufacturers in the UK, and they have raised the bar and set other providers some serious challenges as they push the boundaries of mobile phone thinking and create new and better designs at every turn. It was only late last year that the Mate 20 series hit the shelves and now they are going one better with their new flagship handset which promises to be something really special. The Huawei P30 is stunning, simply gorgeous; it is a classic Huawei design that really works. It is a larger screen handset which we know to be popular and is glass and aluminium that gives it a totally premium look and feel. It features an edge to edge infinity screen that has the tiniest of water drop notches for the front-facing camera. It really is all screen and totally gorgeous to look at. 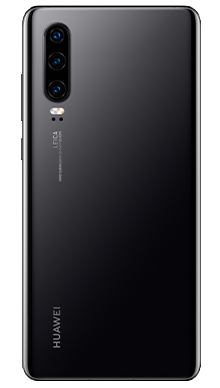 As you might expect for a handset at this level it is rated IP68 which offers waterproofing and dust proofing and of course the front screen is Corning Gorilla Glass which is pretty standard for the Huawei range in general. 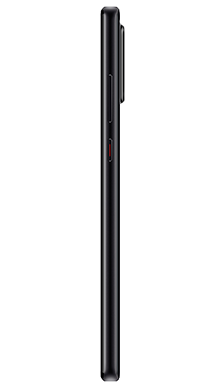 The handset comes in at a nice 6.1 inches which is larger but not phablet standard making it perfect for one-handed use. This is an OLED touchscreen that boasts 16M colours and has 1080 x 2340 pixels and an aspect ratio of 19.5:9 with 422 PPI. This could be the perfect handset for those hoping to stream movies or play games; such is the trend among mobile phone users now. 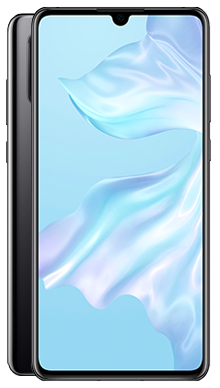 When you turn the phone over you will be struck by the iridescent colour grading on the back which looks totally beautiful, coming in a standard black, blue or pink colour all of which are fantastic. The camera arrangement has changed from the quad square arrangement of the Mate 20 series, and this time there is a long oval shaped camera housing that features a triple lens and underneath the LED flash housing. In terms of audio Huawei never disappoints and there is a great speaker arrangement that gives you plenty of options from taking calls handsfree or playing music in a quiet room. The speaker performs well and doesn’t have distortion or cracking offering a crisp and clear sound. If you like your wired headphones, you will be pleased to see that Huawei has left the 3.5mm headphone jack on this model which is excellent as it has gone missing on some of their other handsets at this level and this is not always a popular choice among fans of wired cans. So, as mentioned the rear camera setup features three lenses that work together to create photography magic every time the shutter is released. The three lens measure up in the following way, the main lens is a 40 MP, f/1.8, 27mm (wide), 1/1.7", PDAF/Laser AF, the second lens a 16 MP, f/2.2, 16mm (ultrawide), 1/2.7", PDAF/Laser AF and the final smallest lens is an 8 MP, f/2.4, 80mm (telephoto), 1/4", 5x optical zoom, PDAF/Laser AF. As standard on their higher level models, these are Leica optics, and they are first class from camera giants. On the front of the handset is a single 32MP offering that is more than capable of getting the perfect selfie shot. All manufacturers have their favoured hardware set up, so it comes as no surprise that within the Huawei P30 we find the HiSilicon Kirin 980 chipset and Octa-core (2x2.6 GHz Cortex-A76 & 2x1.92 GHz Cortex-A76 & 4x1.8 GHz Cortex-A55) CUP and Mali-G76 MP10 GPU which is an excellent combination for the power this handset deserves. As you would expect it comes out of the box with Android 9.0 Pie and EMUI 9 adding the user experience over the top. The battery is a hefty 3650mAh which gives you a good amount of juice when away from the charger and going about daily life. You should confidently be able to complete a full day out and about without running out of power. Another feature of Huawei at this level is the popular wireless charging option, and it comes with the quick charging cable offering maximum choice to the user. You will need to get a wireless charger as this does not come with any of their handsets at this stage. The basic store on the phone is 128GB which is plenty for most users, but this can be expanding with the microSD card by up to 256GB more if needed. This handset has already had masses of interest, and Huawei has done well to ensure that their handsets are solid and robust. Packed with loads of new technology this handset is going to appeal to many users as it is one of the top handsets on the market at the moment. At Fonehouse we are always looking to offer our customers the broadest range of handsets and then combining this with the best choice in pay monthly deals. This gives you the chance to find the perfect handset and deal to suit your needs, and we have a team of people constantly checking for deals to make sure you have the biggest range of choice. Our exclusive partners EE and Vodafone have been specially chosen because we only want to work with companies who share our customer focused ethos. They have the best network coverage maps of all providers, and you will be able to enjoy coverage wherever you might roam with either of these two providers. 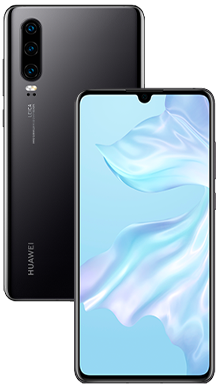 If you would like to find out more about the Huawei P30 or any of our pay monthly deals then why not give our awesome customer service team a call on 0333 900 1133 and they will be more than happy to help you.